The Wildcats reach the South semifinals by defeating Cheverus/Kennebunk/Old Orchard Beach, 2-1. 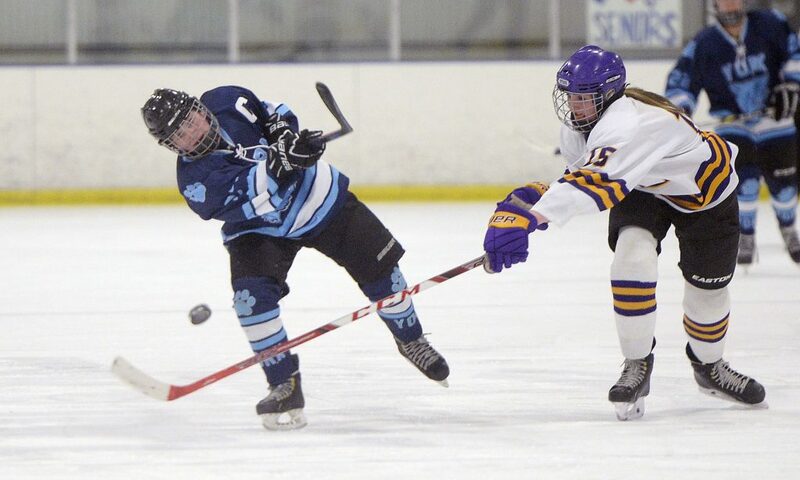 Fifth-seeded York/Traip Academy overcame its usual slow start and advanced to the girls’ hockey South semifinals with a 2-1 victory against fourth-ranked Cheverus/Kennebunk/Old Orchard Beach at Troubh Ice Arena on Wednesday. The Wildcats (10-9) will meet top-ranked Falmouth (14-4) in the semifinals at 7:20 p.m. Saturday at Family Ice in Falmouth. After playing most of the first period in its defensive zone and being out-shot 8-1, York scored on two power-play goals by Sophia Blanchard for its third victory this season against the Stags (9-10). Blanchard scored the winning goal with 6:18 to play in the game. Emma Ford tossed the puck in from the blue line and it took a fortunate bounce to Blanchard, who was crashing the net. 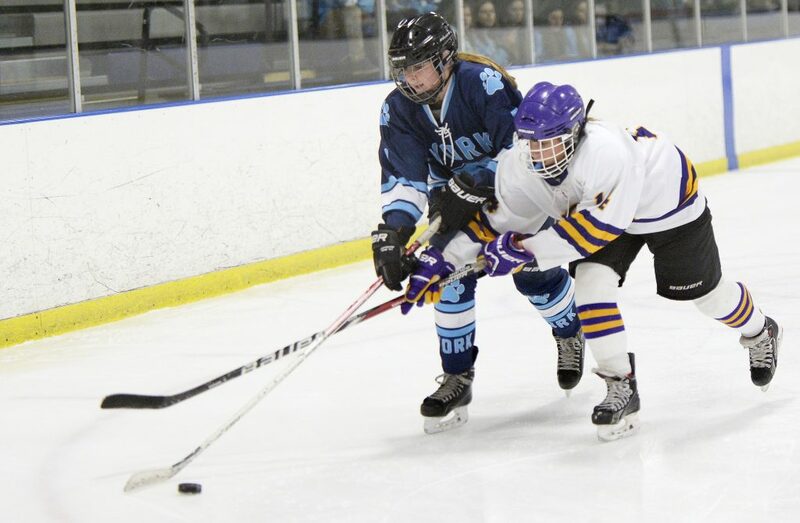 “(Emma) shot the puck on the net and all I was thinking was that all the coaches talk about is crashing the net and getting the rebound,” Blanchard said. 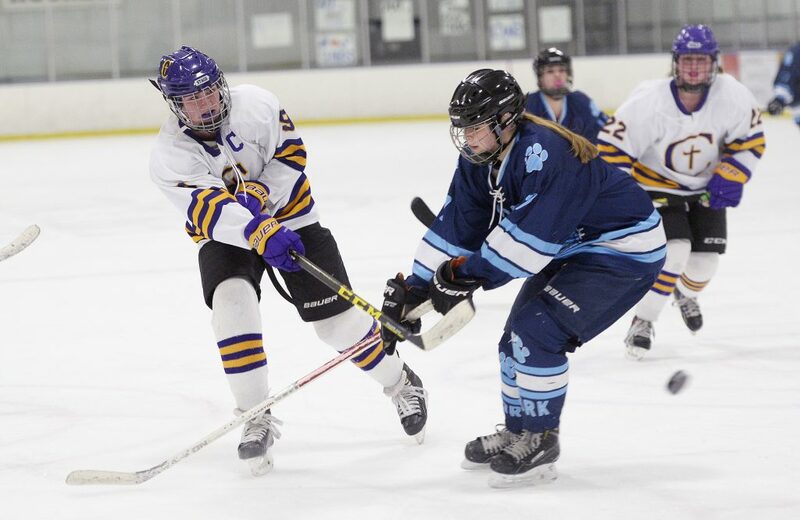 Cheverus had plenty of opportunities to expand a 1-0 first-period lead, but York goalie Sophia Stephens (23 saves) came up big on multiple occasions, including on two late power-play opportunities by the Stags. One of the big stops came against Abby Lamontagne – who was all over the ice for the Stags. Lamontagne broke in with teammate Caitlin Wolff with seven minutes remaining in the second period. Stephens stopped the shot from close in, and then the ensuing shot by Abby Enck from the point. 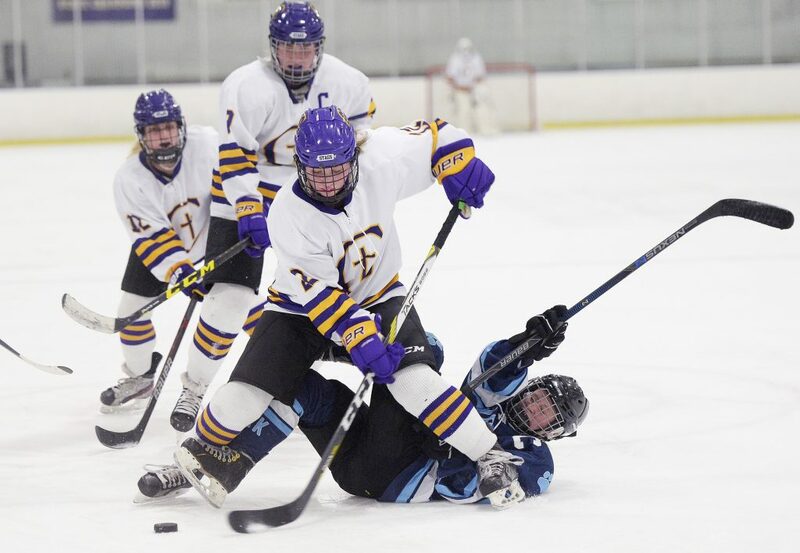 “We had glorious opportunities,” Cheverus Coach Scott Rousseau said. “We’re a young team and a little inexperienced, and they are an older team with a terrific goaltender who made some great saves. Lamontagne opened the scoring with 5:15 left in the first period. She took a pass from behind the net from Sophia Pompeo and found the back of the net. Wolff also had an assist. Blanchard’s first score was a thing of beauty. She had the puck on the right wing just before the offensive blue line. She then passed the puck to herself off the boards and came in alone on Cheverus goalie Anna Smith (12 saves). Blanchard leaned one way and shot the other, beating Smith to the short side. With the Wildcats gaining momentum after the slow start, the timing of the late man advantages worked out perfectly.